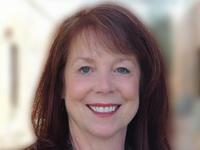 Kathy Bray serves as President and Chief Executive Officer for Volunteers of America, Utah. Mrs. Bray is responsible for the overall management, fiscal stability, and strategic direction of the organization. She is a Certified Social Worker with more than twenty-five years of experience in direct client service and administration of homeless and substance abuse related programs. Mrs. Bray has also served as the Director of Detoxification Services and Vice President of Programs during her 17 year tenure. Audrey Rice serves as the Vice President of Clinical Services which oversees all Cornerstone Treatment and Residential services. Audrey Rice also oversees the Assertive Community Treatment Team. 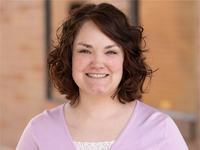 Audrey has oversight of all clinic operations, client assessment, group and individual therapy, and student supervision. She brings a depth of knowledge and deep commitment to the Utah population suffering from substance abuse and mental health issues. Starting in 2006, Audrey served for two years as the Director of the Adult Substance Abuse team, later promoting to Division Director of Residential Services, where she served an additional two years. Andrew serves as Vice President for Program Operations, overseeing the Homeless Services division as well as Quality and Compliance. Andrew is an LCSW who has previous experience at Cornerstone Counseling Center, the Adult Detox programs, Residential Services, Homeless Services and the Assertive Community Treatment Team. When he’s not working at VOA, he serves on the Salt Lake City Council, representing the Westside of Salt Lake City. Given his choice, he would be found riding his bicycles around town, playing any sport he can find time to and enjoying his wife and children. Cathleen has over 20 years of senior executive leadership experience, working with government, private and nonprofit organizations. A visionary leader, she has expertise in fund raising, hospitality, strategic planning and community relations. Career highlights include working with Weber County, Girl Scouts of Utah, McKay-Dee Hospital Foundation and the 2002 Olympic Winter Games. At VOA, Utah Cathleen is responsible for development, communications and marketing, community engagement and volunteer programs. 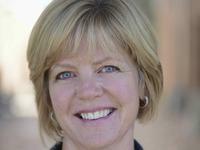 She earned her bachelor’s degree from San Jose State University in Recreation Administration. In her free time, Cathleen is an avid knitter, blogger and amateur cook; most weekends will find her with her husband at her cabin or riding her Harley. Ashley serves as the Director of Quality and Compliance for our agency, where she works closely with the VP of Program Operations regarding quality and compliance processes for the agency. Ashley joined VOA in 2011 as a member of our Adult Treatment Services Team, bringing valuable experience from her time with Odyssey House of Utah, Intermountain Healthcare, The Children’s Center and Valley Behavioral Health. In 2014, Ms. Alfieri was promoted to assist in the development of our multidisciplinary Assertive Community Outreach Treatment Team, again in 2015 to Program Manager of Adult Treatment Services and again in 2016 to Division Director of Treatment Services. She holds a Master of Science degree in Professional Counseling from Westminster College. Ashley serves as part of the VOA National Trauma-Informed Care Advisory group where she is producing a Trauma-Informed Care video for staff training. Ashley also currently serves on the Clinical Mental Health Counselor Licensing Board in association with the Utah Division of Occupational and Professional Licensing to protect the integrity of the profession and the safety of the public. Jayme Anderson joined Volunteers of America, Utah in 2016 and is responsible for the volunteer recruitment, placement, training and evaluation. She also oversees VOA in kind donor program, community engagement and manages the Volunteer Engagement Specialist throughout VOA, Utah. After spending 10 years with the Walt Disney Company, she decided to use her customer service experience in the nonprofit area. For the last 6+ years, she has focused her career on volunteer recruitment. Jayme is touched and motivated by the passion of all the volunteers at VOA, Utah. 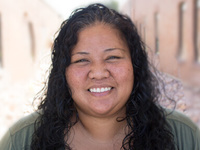 Sue Ativalu serves as Division Director of Residential Housing for VOA, Utah. She is responsible for the overseeing of the Adult Detoxification program and the young Men's and Young Women's Youth Transition Programs. She has worked for VOA, Utah since 2008, serving as a Staff Coordinator, Case Manager and Program Director for the Detoxification Center, as well as Program Manager for the Homeless Youth Resource Center. She holds a Master of Social Work Degree. 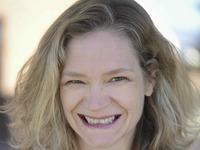 Erin serves as Director of Human Resources for Volunteers of America, Utah. She is primarily responsible for employment, benefits, employee relations, and training. Erin earned her Master degree in Human Resource Management (MHRM) from the University of Utah. She also holds her Certification in Professional Human Resource (PHR). Erin has worked for Volunteers of America since 2007. 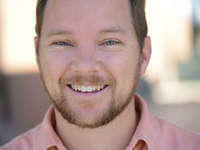 Jeff Black serves as Director of Accounting for Volunteers of America, Utah. He joined VOA in 2015, bringing 16 years of accounting experience to our leadership team. Mr. Black is responsible for overseeing organizational accounting functions, including budget preparation reporting and planning, financial statement preparation, asset management and general ledger management. 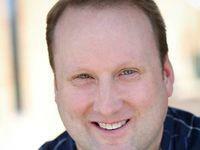 He earned his Master of Business Administration from Utah State University. 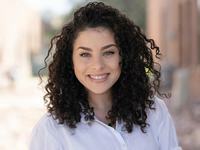 Sarah Cavalcanti joined Volunteers of America, Utah in 2017 after relocating to Salt Lake City from her hometown of Atlanta, Georgia. As the Marketing & Communications Director for Volunteer of America, Utah, Sarah is a key member of Development department, and oversees brand, social media efforts, and the agencies strategic marketing and communications strategies. Sarah plays a lead role in guiding the organization’s marketing, communications, public relations and advocacy efforts in alignment with VOA’s mission, priorities, and strategic plan in order to generate awareness and support of Volunteers of America, Utah. 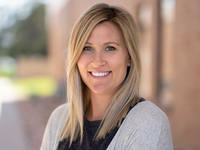 Sarah serves as Division Director of Intensive Behavioral Services for Volunteers of America, Utah, which oversees the Assertive Community Treatment team, Intensive Case Management services, and the Denver Street Apartment services. She joined Volunteers of America, Utah in 2015 and has a wide range of clinical experience in community mental health, substance use, and in working with individuals who have serious and persistent mental illness along with the challenges facing this population. Sarah holds a Master's Degree in Mental Health Counseling; is a licensed Clinical Mental Health Counselor; and holds certifications as a Certified Mental Health Counselor, National Certified Counselor, and Human Services-Board Certified Practitioner. She also served as President of the Utah Mental Health Counselors Association. Meghan Fry has worked for Volunteers of America, Utah for nearly 20 years. Meghan worked as the Program Director of the Center for Women & Children for several years. Later, she supervised the Assertive Community Outreach Treatment Team for two years. Meghan worked as a therapist on the Adult Substance Abuse Team at Cornerstone Counseling Center and has held various other positions throughout the agency. She is excited to be managing Family Counseling Center. 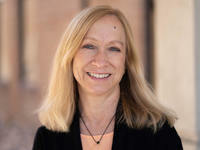 She has a Bachelor of Science Degree from the University of Utah and a Master of Science in Clinical Mental Health Counseling from the University of Phoenix. Meghan has a passion for working with under-served populations. Some of those populations include people living in poverty and those suffering from substance use disorders. She has a particular passion for working with the LGBTQ+ community. 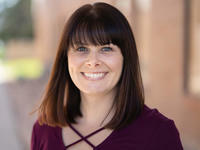 When she is away from the office, Meghan enjoys hiking, writing, and cheering for the University of Utah football team. She loves to travel and finds herself most at peace near the ocean. Meghan values time with her partner, family, friends, and her dog. 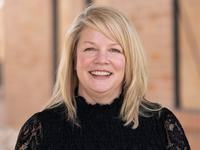 Jaime Klemz serves as Division Director of Treatment Services for Volunteers of America, Utah, where she oversees outpatient behavioral health treatment at Cornerstone Counseling Center. Jaime has worked directly with individuals experiencing substance use disorders, homelessness, and mental health conditions since she joined Volunteers of America, Utah in 2009. She later earned her Masters of Science degree in Clinical Mental Health Counseling from Westminster College. Since then, she has continued to gain experience by working in numerous roles at VOA including Therapist on Adult Treatment Services, Manager of Clinical Supervision at the Adult Detoxification Center, and Director of Integrated Services at Cornerstone Counseling Center. Outside of work, Jaime is passionate about backcountry snowboarding, hiking, and playing soccer. 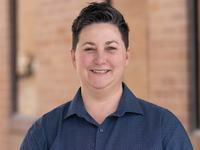 Mandi Quist serves as Director of Detox Services for Volunteers of America, Utah, where she oversees the Center for Women and Children and provides clinical oversight for our male detoxification center. Mandi has experience working directly with individuals experiencing substance use disorders, homelessness, and mental health conditions throughout the agency and has worked in various roles including as a therapist on Adult Treatment Services, on the Assertive Community Treatment team, in the Center for Women and Children, as the Director of Integrated Services at Cornerstone Counseling Center, and as the Director of Data and Outcomes for the agency. 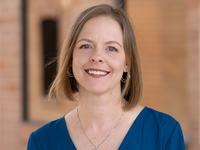 She has a Master’s of Science degree in Clinical Mental Health Counseling from Westminster College, and a Master’s in Business Administration from the University of Utah.